Prepare Ahead of Time - Yes, we know this is important, but did you know you should start preparing for your business sale at least two years ahead of time? You want to get all the kinks in your business worked out before you offer it for sale such as staffing issues, lease problems, etc. It’s also important to have all financials in good order. Serious buyers will want to see them (after they’ve signed a confidentiality agreement). Know What Your Business is Worth - No, not what YOU think its worth, but what are similar businesses selling for. Check out business-for-sale websites to get an idea, but getting an objective third-party valuation is critical. Amelia Coastal Realty has vast experience in this field and routinely does valuations for all kinds of business. Use Professionals - Yes, we know you know your business best, but your expertise is in running the business, not selling it. Many sellers want to save money by not having to pay a brokerage fee, but in reality a broker is going to sell your business for more than you could. Amelia Coastal Realty will handle the important tasks such as making sure you have all the important information highlighted, showing your business to potential buyers, marketing, negotiation and closing. Stay Involved in the Selling Process - So you took our advice and hired ACR to help sell your process. That is a good choice, but it is important to stay active as you have the most inside knowledge of the business. You can help market your business and you can play a key role in helping the buyer feel confident that the business can be purchased and managed successfully. Don't Misrepresent - Ensure that your numbers are accurate and responsible; i.e., don't distort projections, cover up problems and exaggerate sales. Inaccurate information could highlight red flags and after the sale, actual financials can become the basis for legal action. Have Amelia Coastal Realty and your attorney review all documentation, including business forecasts, before it is sent to the buyer. Pre -Qualify Buyers - Amelia Coastal Realty can help with this by ensuring that: (a) confidentiality agreements are signed prior to the potential buyer seeing your business' financial information and other critical documentation. (b) the potential buyer has the financial means to purchase your business prior to getting to deep into the sale. 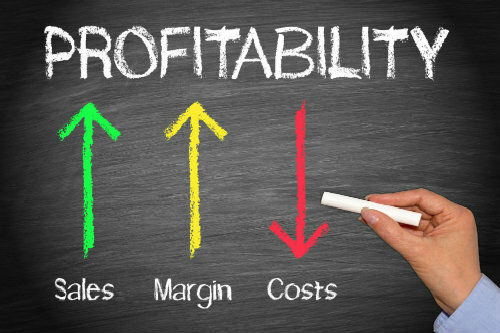 Price it Right - Price is the MOST important factor in how long your business stays on the market. Price it right to have a faster and smoother sale. If you did your due diligence in Step 2 above, you should know how your business compares to others on the market. If you've taken the time to fix any issues as noted in Step 1 then you can defend your price by explaining to the buyer that, for example, fixing that leasing issue, saved the business x amount. Consider all Reasonable Offers - Just because a potential buyer can't pay all cash, don't rule them out. Today's buyers may need seller financing, deferred payments or help in obtaining bank financing. Amelia Coastal Realty has lengthy experience in helping buyers/sellers in financing arrangements and has great relationships with local and regional banking institutions. Confidentiality is Important - To ensure sales don't decrease during sales time and to maintain good relationships with staff, it is important that customers don't know that you business is on the market. At Amelia Coastal Realty we know the steps to market your business yet maintain confidentiality. Plan for the Transition - Ensure that you and the buyer have a plan for the transition and have reached an agreement on how it will work during the negotiation process. For example, will you say on a few weeks to help or are you wanting a clean break. Are you ready to SELL your business and get started on your next business endeavor? If so, click here, to get in touch with us and we are here to help you.